Seeing as how Richard Donner’s 1978 Superman: The Movie essentially created the superhero film genre as we know it today, it boggles the mind how Warner Bros. has experienced so many creative misfires in bringing Kal-El back to the silver screen over the years. From Tim Burton’s failed attempt to resurrect the character in the 1990s to Bryan Singer’s lukewarm franchise relaunch in 2006 with Superman Returns, the blue-and-red boy scout just can’t catch a break in Hollywood these days. However, Zack Snyder’s forthcoming reboot of the Superman film saga hopes to reverse that unfortunate trend. But the big question has remained: Who’s the new Man of Steel? Deadline.com reports that Warner Bros. and Legendary Pictures have chosen British actor Henry Cavill (The Tudors) to play the coveted role. Cavill had previously auditioned for the role of Batman/Bruce Wayne in Christopher Nolan’s Batman Begins—another superhero reboot—but he lost out to fellow Englishman Christian Bale. It’s hard not to appreciate the symmetry here. 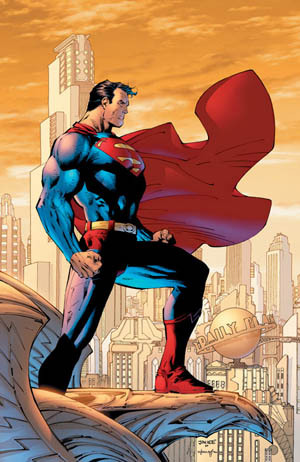 Overseen by Nolan and penned by his Batman Begins/The Dark Knight collaborator David S. Goyer, Superman’s next onscreen outing hits theaters in 2012. Speaking of Nolan, Deadline.com is also reporting that Joseph Gordon-Levitt is in talks to reunite with his Inception director for The Dark Knight Rises, although it’s not yet known what role he’d be playing. Nolan has vehemently denied the Joker’s return in the Dark Knight sequel, but Gordon-Levitt would be an interesting replacement for the late Heath Ledger if the Clown Prince of Crime were to make a brief appearance in Nolan’s third and presumably final Batman film. Labels: Christian Bale, Christopher Nolan, Henry Cavill, The Dark Knight, Warner Bros.